Shrimp recipes are my family favorite seafood recipes. 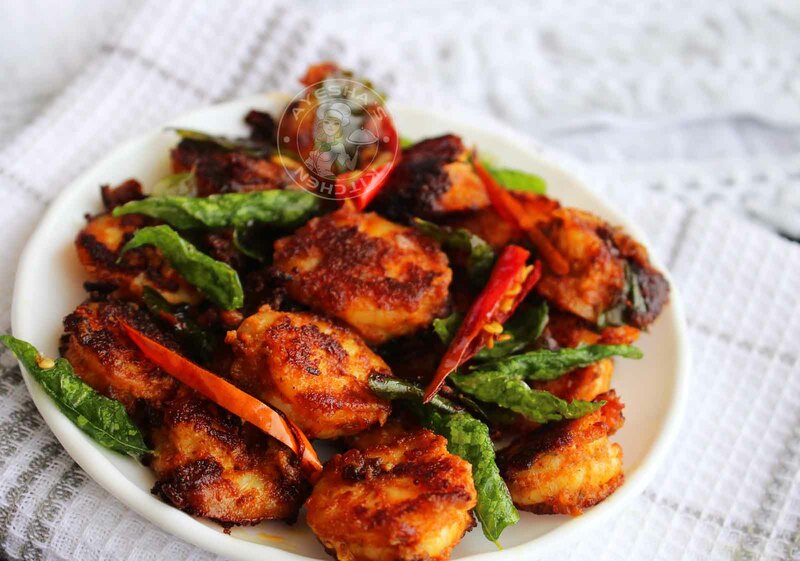 There are several ways of making delicious dishes with prawns / shrimps. 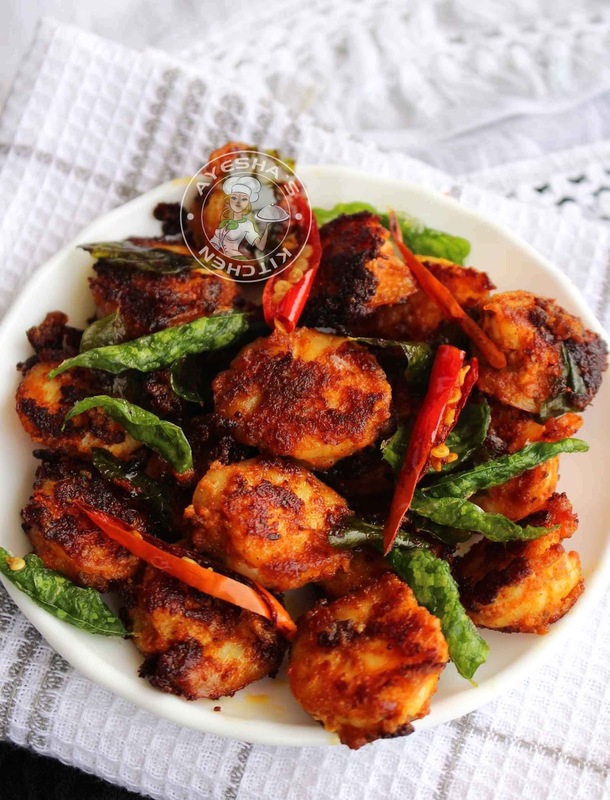 Prawns fry / shrimp fry is my all time favorite and simple seafood delicacy which i often love to cook whenever i deal with prawns. This time am sharing a simple aromatic and tasty delicacy from my native place, Kerala. If you are a sucker for tradition and love having family and friends over, try something special recipes to host a fabulous feast. Grind together all the ingredients listed under 'to grind' with little water to a smooth paste. 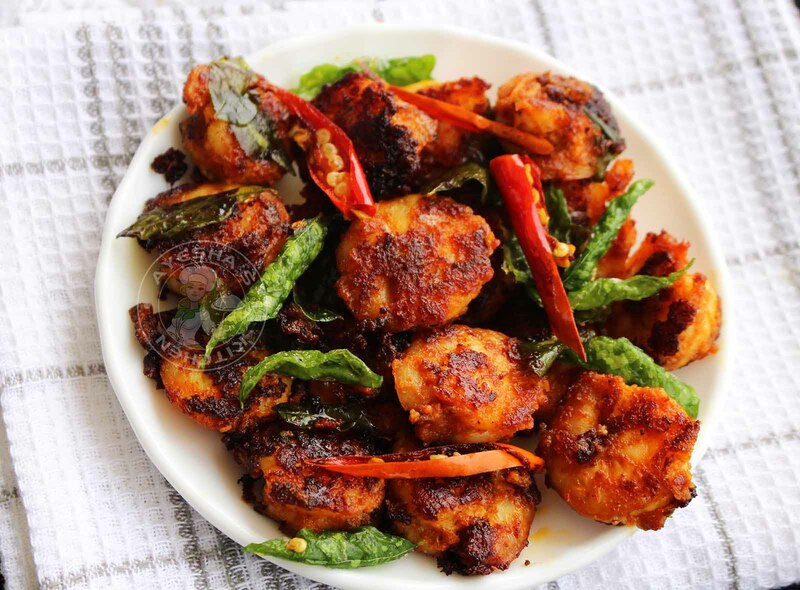 Marinate the cleaned prawns with this marinade and keep refrigerated for half an hour. When done, add rice powder to this prawns marinade (only just before frying). This gives the prawns a fine crispy coating. Heat coconut oil in a pan and fry red chilies sliced for a couple of seconds. Transfer it to a plate for final garnishing. To the same oil, fry curry leaves and then add the marinated prawns. Combine well. Saute well until the prawns are coated with the marinade. Stirring occasionally. When both sides of the prawns became golden brown and crispy, remove from heat. Garnish with fried chilies and serve warm.